Our version of the traditional Japanese kebabs, marinated in Mama Sita’s Oyster Sauce and skewered with leeks. Tip: Soak BBQ sticks in water to prevent the sticks from burning. 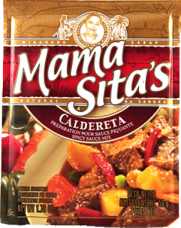 Marinate chicken in Mama Sita’s Oyster Sauce mixed with grated ginger for at least an hour. Thread chicken alternately with leek slices. Grill for five minutes on each side or until cooked. Serve hot.